For more information, visit the IDS Search Blog or try the demo site. To view feature highlights, download a PDF file. IDS Project's 70+ New York libraries and expect delivery in 3-5 working days on average. IDS Project has over 44 million volumes. Basic search has 4 types of searches, with easy advanced refining or limiting your searches in the results screen. 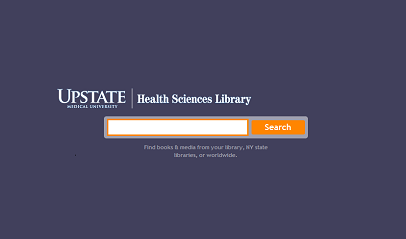 Change libraries – select your library, Quick delivery libraries, or Worldwide libraries. Limit search to – refine by format. Related Subjects – search by subject. Google Preview – link to available Full Text or Partial Text. Cite This, Ref/Works, EndNote – citing services. Permalink – permanent URL to email or save for each record or search. "Get It" – IDS/ILL request button that includes availability check of your library, click into your catalog, and delivery estimates. RSS – RSS of your search. Login – Login into your local catalog. Drop down options enable very specific searches. Limit by material type, document type, language, etc. And, Or, Not for Boolean operators. Truncate a term (make a partial match) using * or ?. Example nurs* will match nurse, nurses, nursing, etc. 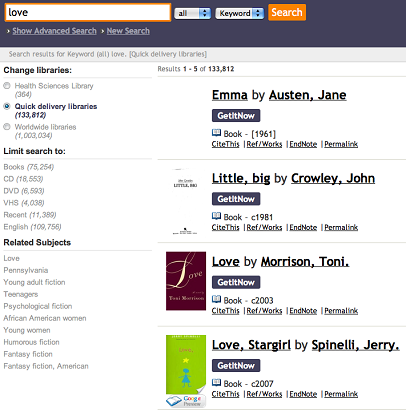 IDS Search uses APIs from Worldcat, Google Books, and Yahoo spell check, as well as various scripts to check the availability in your local catalog. IDS Search is a cooperative project led by Mike Curtis, SUNY Upstate Medical University, as part of the IDS Project Technology Development Team. Subject tags are determined by the first 50 subject terms of any search. Sort by score is a Worldcat.org relevancy ranking system. 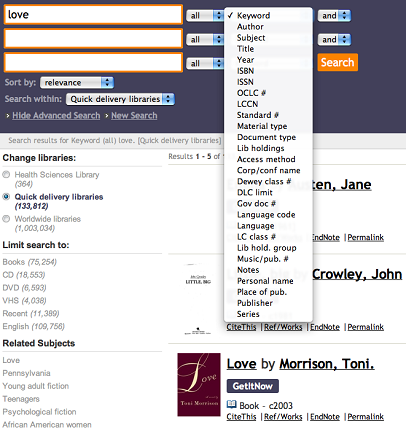 January – July 2010: Beta-testing at 7 library sites, with some modifications as a result of usability testing and use. Summer 2010: Release of IDS Search version 1.